* Contractors at work on Centenary Square. 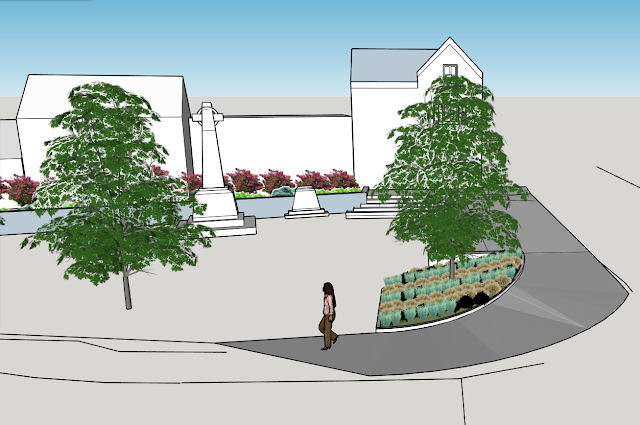 Work has started on the new Centenary Square scheme centred on the War Memorial and the area of land known as Royal Gardens. Contractors are G H James Ltd, a North Wales Civil engineering and construction company established in 1985, who have worked on similar projects in Mold, Holywell, Flint and Buckley. 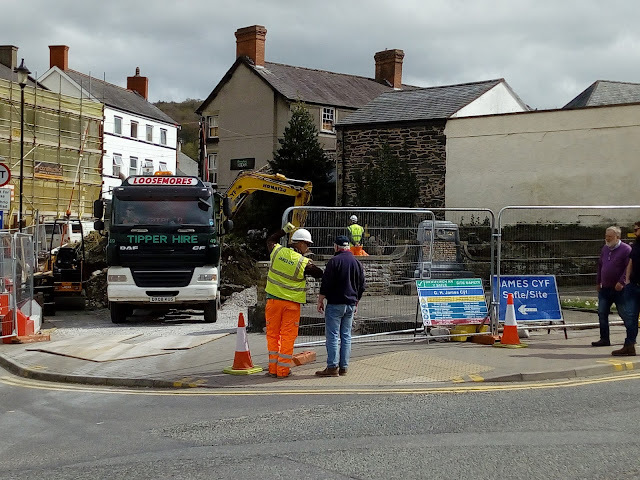 Cittaslow Llangollen, which is involved in the project, says on its Facebook page: "Whilst the plans have had to change very slightly, the end result will provide a high-quality multi use space in the heart of the town centre. "The works will run for 10 weeks with a scheduled completion date of 25th June 2018." The site, at the corner of Bridge Street and Castle Street, was acquired by the Town Council is 2010 and the preferred scheme for its development was identified by the public in 2016. * An artist's impression of how the finished square will look.